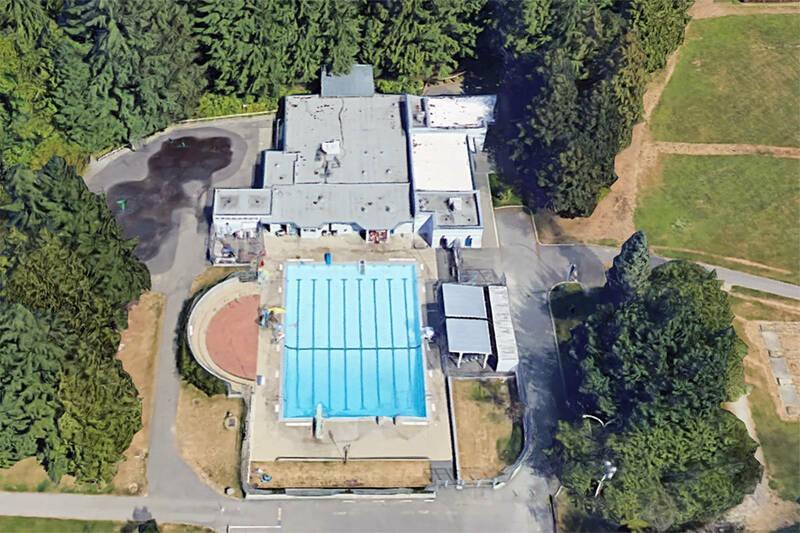 Said to be one of BC’s most popular outdoor pool complexes. Tom Reinhart said he’s been looking forward to the re-opening of Al Anderson pool following its usual winter shutdown. While there were indoor pools Reinhart could use, the Langley resident said he much prefers swimming his morning laps in the outdoors. 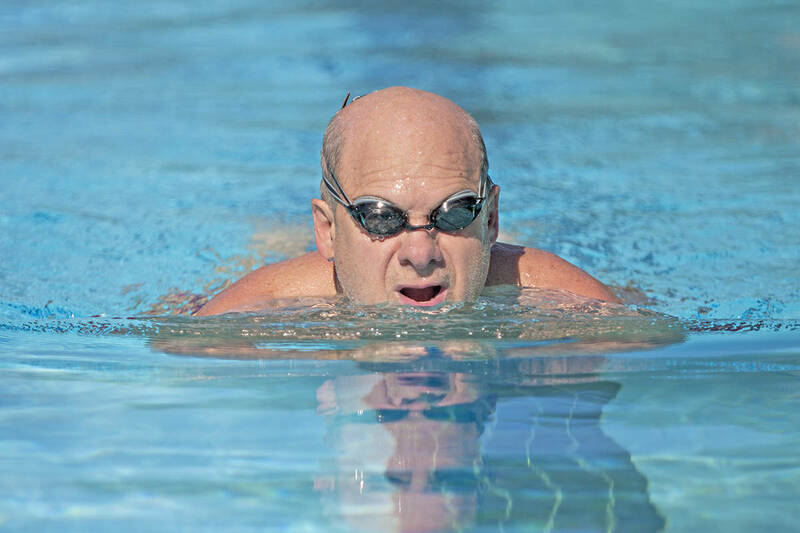 Reinhart was one of the first swimmers in the water Saturday morning, the day after the pool resumed operation on Friday May 11. The weather was especially good, warm and sunny. The eight-lane, 25-metre pool at 4949 207 St. first opened in 1962. Every year, it hosts a wide range of events, including the annual Legendary Water Fight, a Langley City summer tradition that pits Langley City fire fighters with a pump truck against swimmers with water guns. It is also part of the annual Tri-It triathlon, which will be held this year on Sunday, June 10 at 7 .am. The Tri-It event was first launched in 2000 by the City of Langley and the City firefighters as a fundraiser for the burn fund. After about a decade, the firefighters moved on to other fund-raising initiatives and the City maintained the annual event as a community fun run. The City of Langley’s outdoor pool offers children’s swimming lessons, lane swimming, public swimming, aquatic fitness, and public rentals. 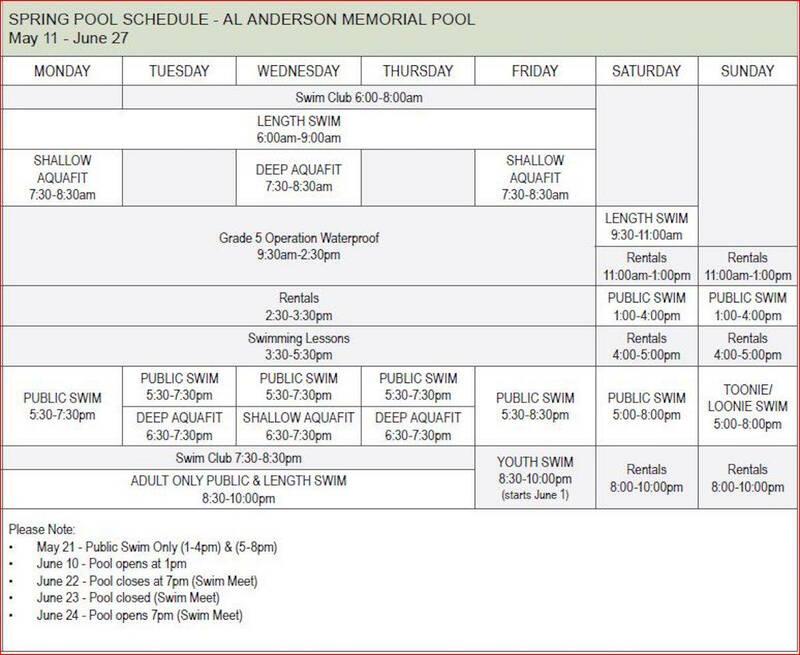 To register for swimming lessons, call Al Anderson Memorial Pool Directly at 604-514-2860 or Douglas Recreation Centre at 604-514-2865. Al Anderson pool. Undated Google Maps view.